You can search the internet for days looking for the best coupon codes, or you can simply shop at Pressure Washers Direct. Instead of sending you on a never-ending quest for coupon codes when you're ready to check out, we offer competitively low prices from the start so there's no extra work for you to do. In addition, there are several other ways to save on your pressure washer purchase with weekly specials, closeouts, scratch & dent models, or buying in bulk. Don't work for your discounts. Enjoy the discounted pricing without the hassle by shopping at Pressure Washers Direct. The weekly specials section of Pressure Washers Direct features pressure washers included in promotions and sales. The retail prices of these washers are often slashed by hundreds of dollars. We put power washers on closeout for a few reasons: getting rid of last year's models, liquidating inventory, or when we make a special buy from a manufacturer. Regardless of the reason, you can save big on brand-new mowers. These scratch and dent power washers have cosmetic flaws, such as chipped paint or dented frames. We've taken them back to our warehouse and made sure they still run like new. If you don't mind a scratch or a dent, you can save a lot of money. When you buy any power washer priced over $1000, if you elect to pay by check, you can save 2%. Credit card processing fees are about 2% so when you pay by check, we pass the savings on to you. 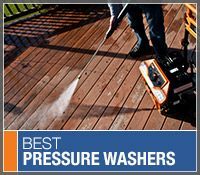 Pressure Washer Coupons.. Our Power Equipment Direct how-to library can help you learn about Proposition 65 Product Labeling, Sales Tax Information and Product Recalls for Pressure Washer Equipment.